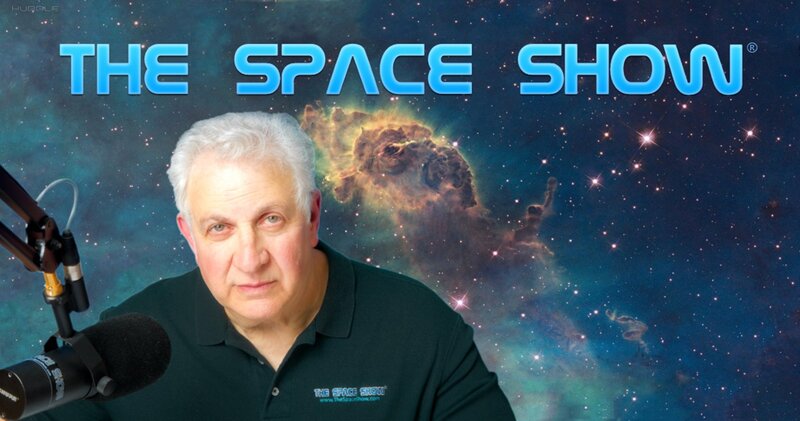 We welcomed Doug Messier back to the program for this two segment 93 minute discussion of the commercial and global space industry for 2018. In addition, we took a look ahead to early to mid-2019 regarding upcoming launch and capsule test plans. However, Doug started the discussion by talking about what was new at the Mojave Space Port. One of the significant news items includes a Space Ship 2 flight before the end of the year. Doug said people have been waiting 14 years for suborbital flights and are looking forward to the flight which will likely only include the test pilots. The altitude goal will be 50 miles which is the Air Force definition of space as used in earlier years. Doug also mentioned that the flight level for being in space may be reviewed by the IAF but right now such a review has not started. Besides talking about Space Ship 2 and Sir Richard Branson, Doug talked about progress with Stratolaunch which may also engage in the next level of testing later this month. He talked about how massive Stratolaunch is when you actually see it, the 395 foot wing span and more. Paul Allen was also mentioned in the Mojave news review commentary. Before changing topics, Jed asked by email asked what Doug knew about Interorbital and their rocket plan. In addition, I asked about the general revenue stream supporting Mojave. Don't miss what Doug said in response to my question, especially the part about it being wind energy depot of sorts. Doug said his favorite event for 2018 was the Falcon Heavy launch he saw in person. Listen to him describe the launch and his experience. He then said the interest and growth in cubesats has also interested him. We discussed the cubesat industry growth, the Small Sat Conference, and the plan for small sat constellations. He voiced concern about the latter thinking there might not be sufficient business to support all the interest. Other topics covered including the upcoming Chinese lunar mission for Dec. 8 and Osiris Rex. Doug was asked about "hot" 2018 news stories that fizzled out. We talked about continued JWST and SLS delays and issues. He was also asked about the Leonard David comment suggesting both NASA and the commercial lunar industry needed to step up as Leonard expressed concerns about both. The NASA safety inspection for SpaceX and Boeing re human spaceflight was brought up including Elon Musk and his behavior which seemed to have prompted the inspection. Doug reported on some Musk rumors but I asked if they could be substantiated. Not so by Doug or anyone else and I had not heard them before which is why I guess they are rumors. Carolyn from Seattle was next up with an email asking Doug if he thought there would be serious adverse impact to NASA and space with the election of loss of Sen. Nelson and Rep. Culbertson. Don't miss Doug's response to the question. We started the second segment with Doug reporting on US, Chinese and global launch rates. He also said he would publish a spreadsheet with final 2018 totals by mid-January so everyone look for that on Parabolic Arc. Doug really focused in on both SpaceX and the Chinese for this part of our discussion. That said, we talked about the emerging small launcher industry and Doug reviewed several of the companies in this segment. He reported that at the Small Sat Conference he heard there were about 103 small sat boosters coming to market. Our guest expressed concern that the industry could not support this number of launchers. Don't miss what he said about the small launcher industry and market and the possible future shakeup. The Lunar Gateway was the next big topic of our discussion. Doug was on the fence with it but he did have lots to say about it so do listen to his comments. We also talked about a lunar lander to the lunar surface and the fact that the BFR might be a wild card in this development arena. We talked about The National Space Council, the European Moon Village, Dr. Scott Pace, commercial crew safety inspections and risks, key space leader and personality public behavior, and more. Suborbital flights were talked about as was Spaceport America in New Mexico. As for looking forward to 2019, human spaceflight crew flight and demo tests early in the year, abort tests, suborbital flight with Virgin and Blue Origin, big progress with New Glenn development and the continued development of satellite constellations. Don't miss Doug's concluding comments. Please post your questions/comments for Doug on TSS blog for this show. You can reach Doug Messier through his news blog, www.parabolicarc.com or me.